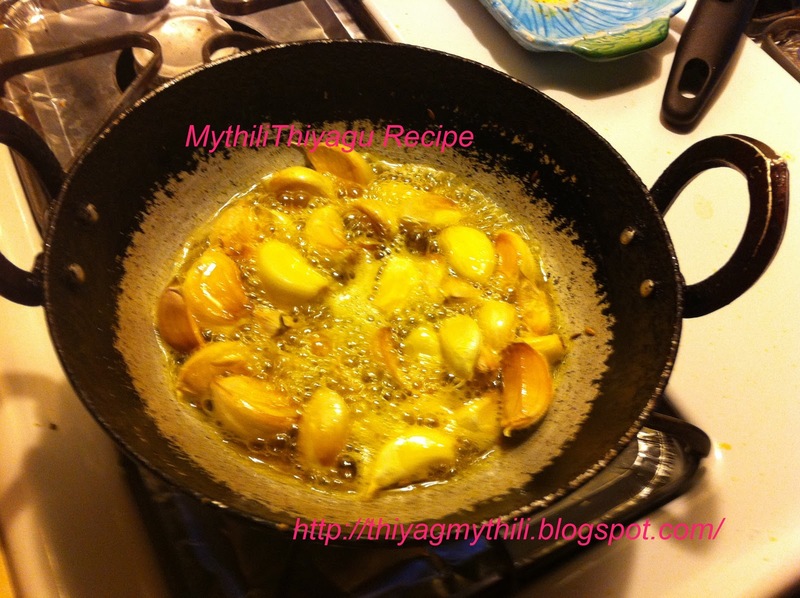 * Just peel the outer skin of garlic cloves and keep it aside. * Add tamarind to 1/4 cup of hot water and extract thick pulp from it and keep aside. * Fry 1/4 tsp of mustard seeds and 1/4 tsp of fenugreek seeds without oil and make it as powder. 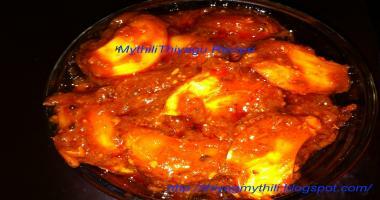 * Heat oil, add mustard seeds allow it to crackle then add Fenugreek seeds and 2 tsp Hing powder. Then add garlic cloves and saute till raw smell leaves and it starts turning light brown. * Then add Chilli powder and Coriander powder. Fry for 3 mins in low flame. * Now add tamarind pulp,required salt and mix well. Keep sauting till the mixture turns brown color as in the pic,Now add a tsp of Hing powder,let it cook for 2 mins. Then add powdered jaggery. Then add few fresh curry leaves. Switch off and let it cool. Then store it in a airtight container.